Having a good IT support and the highest quality IT services is the only way to be successful the extremely dynamic modern business landscape. With a competition so fierce, your expertise and IT support are the essential ingredients for a successful business. Staying on top of your IT game is crucial, so every small business out there should consider their need for all sorts of tech and digital services that will help make their operations, processes, and workflows as smooth as possible. 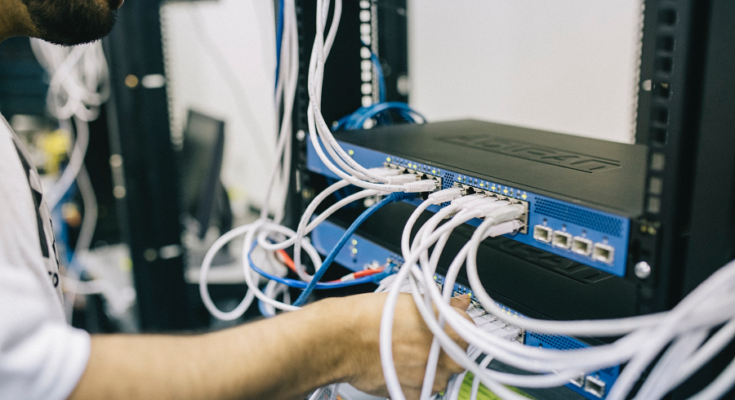 Having a professional IT provider is also extremely cost-efficient – once you make all your systems optimal, you won’t have the need to hire one or more individuals to take care of it. By incorporating the right IT solutions for your small business model, you’ll reap the benefits of a highly optimized business workflow. This will leave you with plenty of time and resources that you can use somewhere else. Here are a few tips on how to use your small business IT support. Developing healthy backup habits is always a good way to go, especially when it comes to your small business. Every business eventually develops a need to back up their important business data. Since they need to analyze a lot of data on a daily basis, having useful backups is extremely important, especially from the moment you automate and digitalize your workflow, as your data will spread across multiple online channels. Storing your data in one place is a smart way to go. Cloud storage or a local hard drive, the choice is yours. Protection is of the utmost importance, especially in the modern world where cyber attacks have become the norm. All data can be stolen and sold for a profit so you will want to avoid that. That’s where your small business IT support jumps in. A good IT support provider prevents all sorts of cyber theft and data leaks, as these two present the biggest threats to your small business. Encrypting all your digital communications is the only way to make sure. Having a good IT security is what separates men from boys in the business world. Having additional security support is always a good idea and the most recommended practice for small businesses since small companies are always easier to target than the big ones. So, having good antivirus software, as well as a second layer of protection like a firewall is the most recommended option. Small business IT support is the very core of your modern business and a means that you can use to stand out from the crowd.